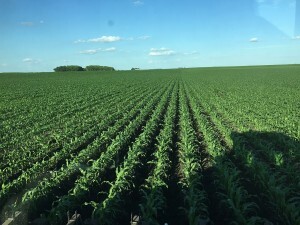 I’m always amazed at how short the window is for building ridges in our corn. We had an area between two groves that grows fast because of the heat trapped there. 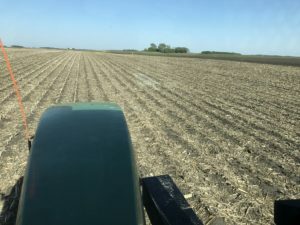 We decided we better get that ridged before it was too tall. 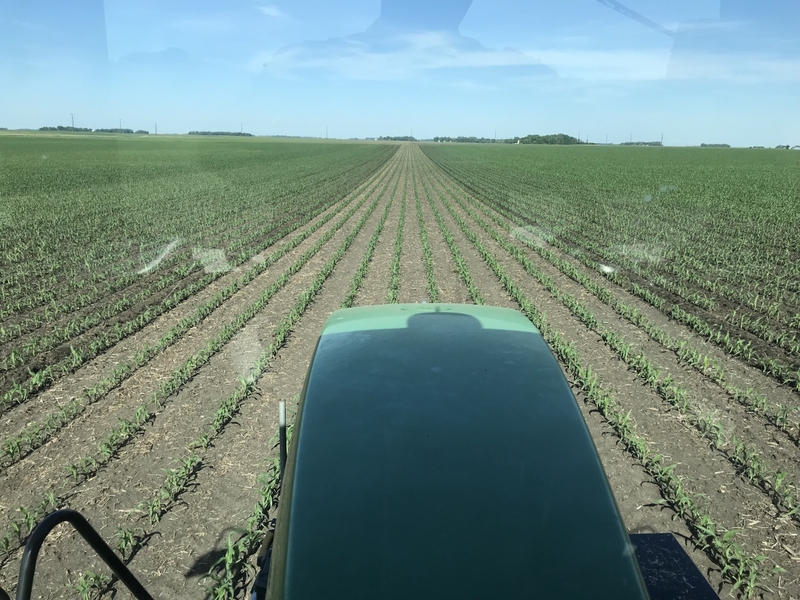 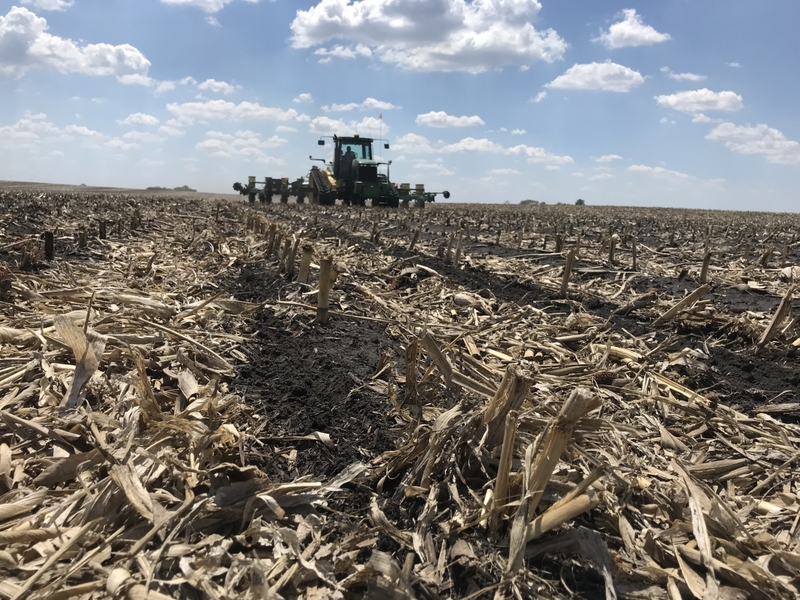 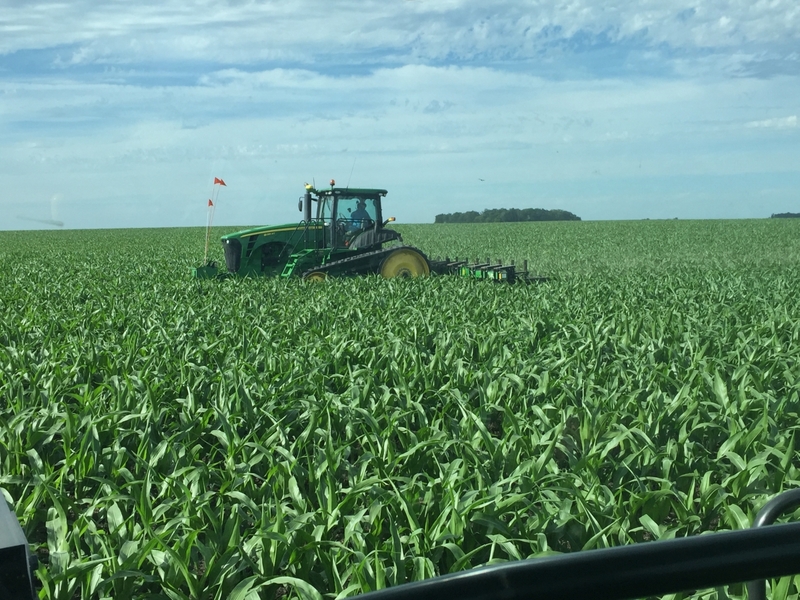 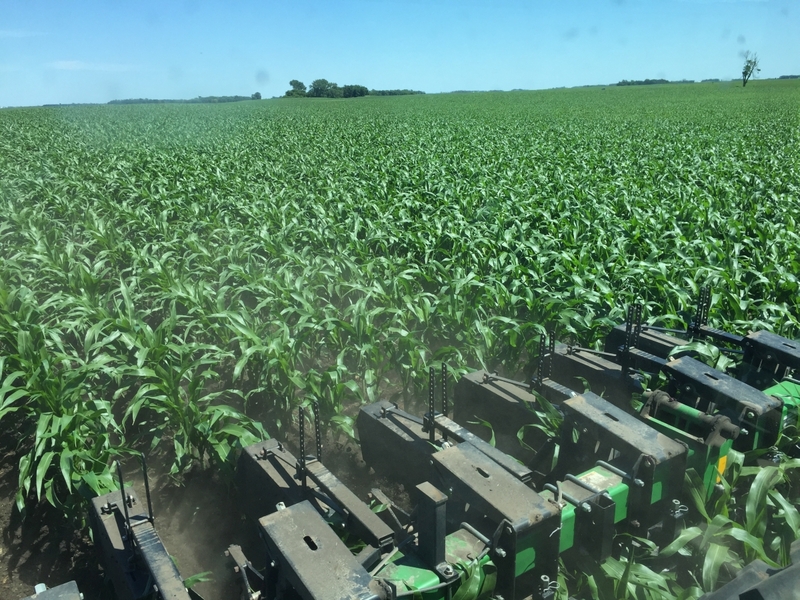 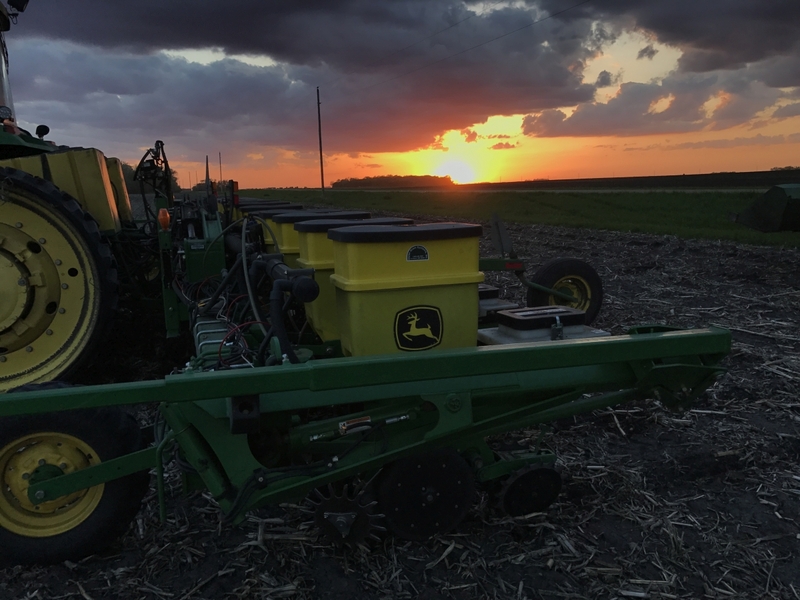 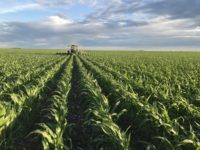 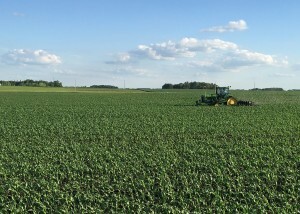 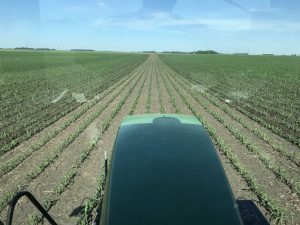 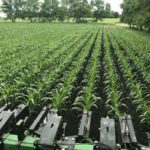 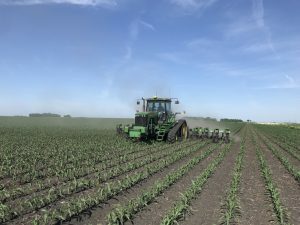 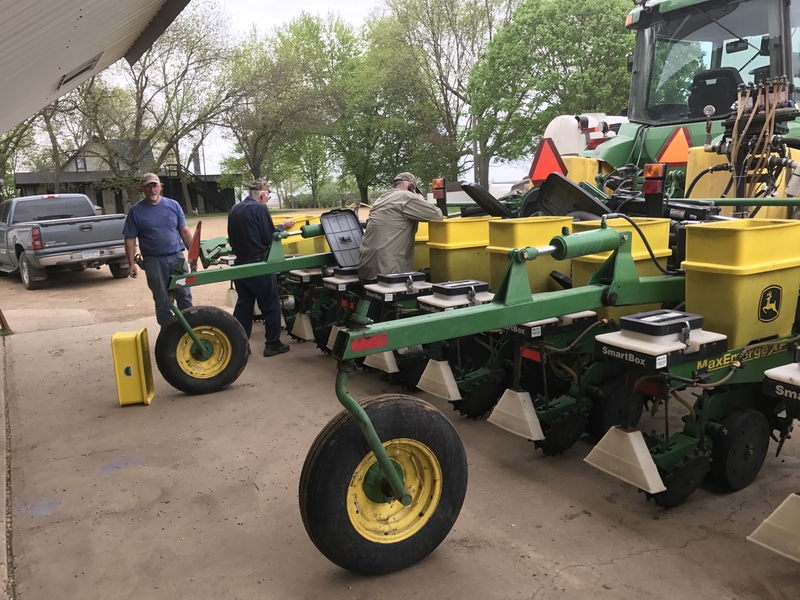 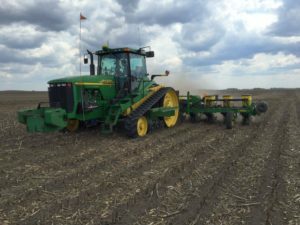 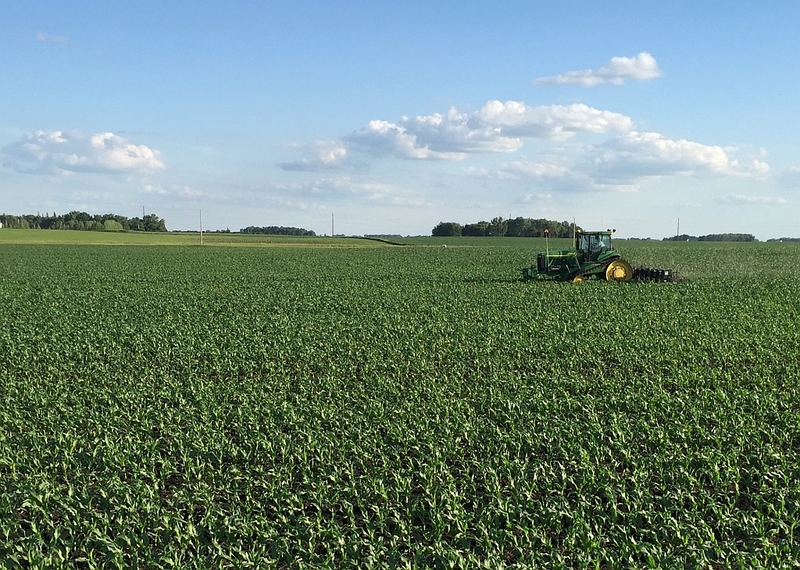 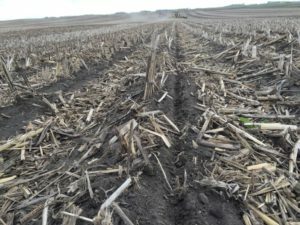 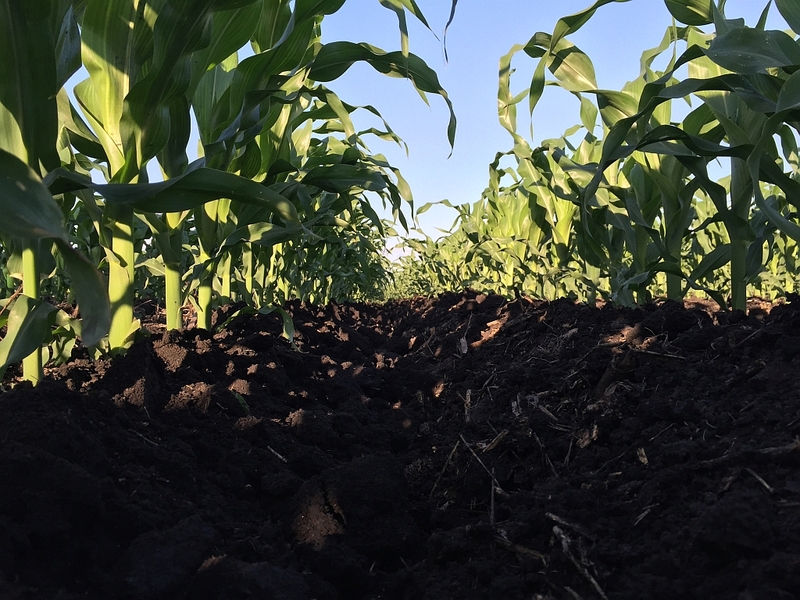 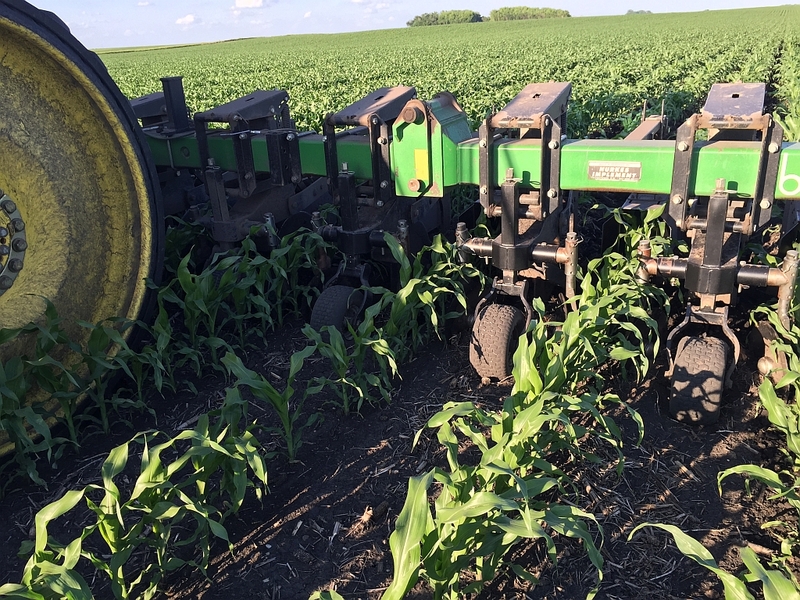 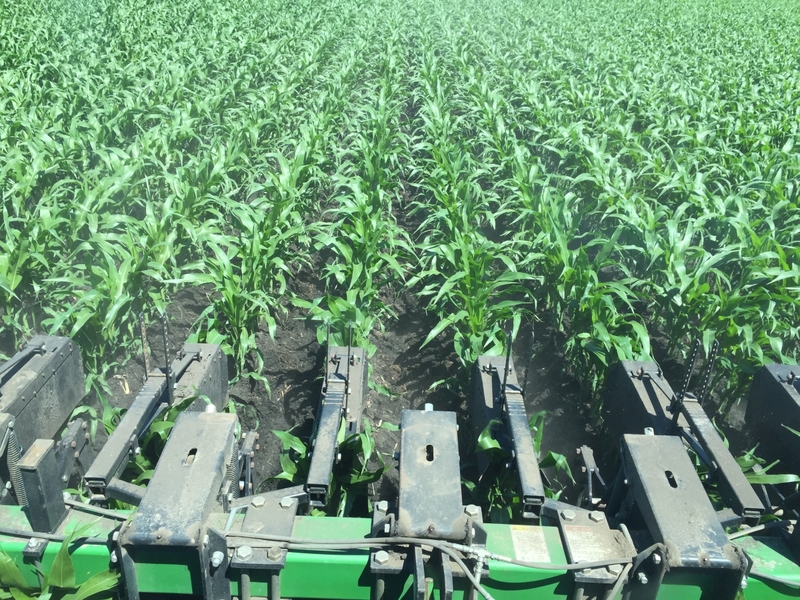 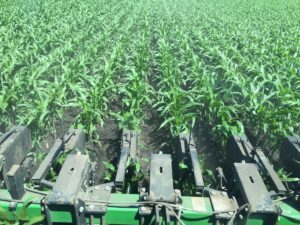 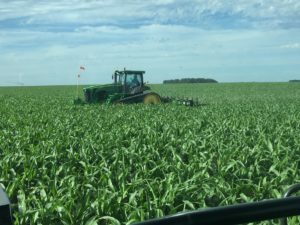 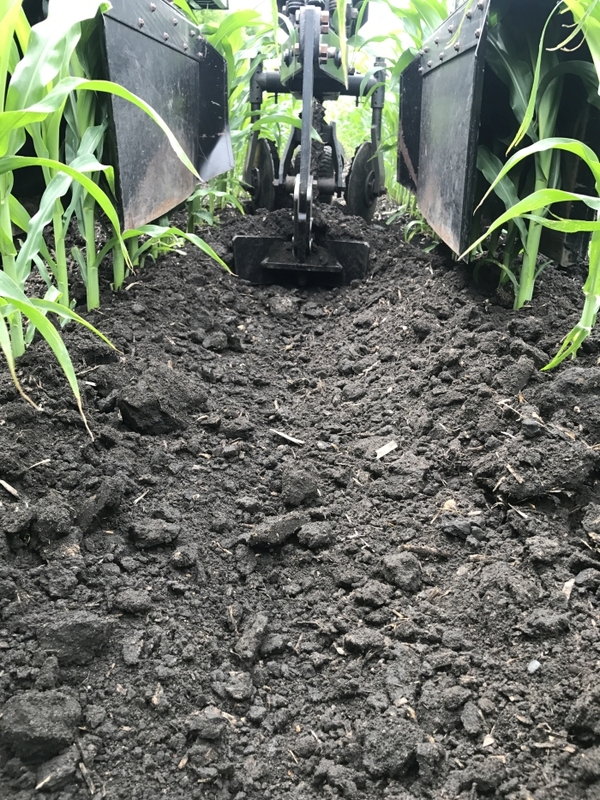 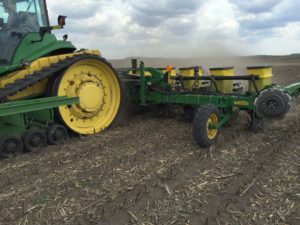 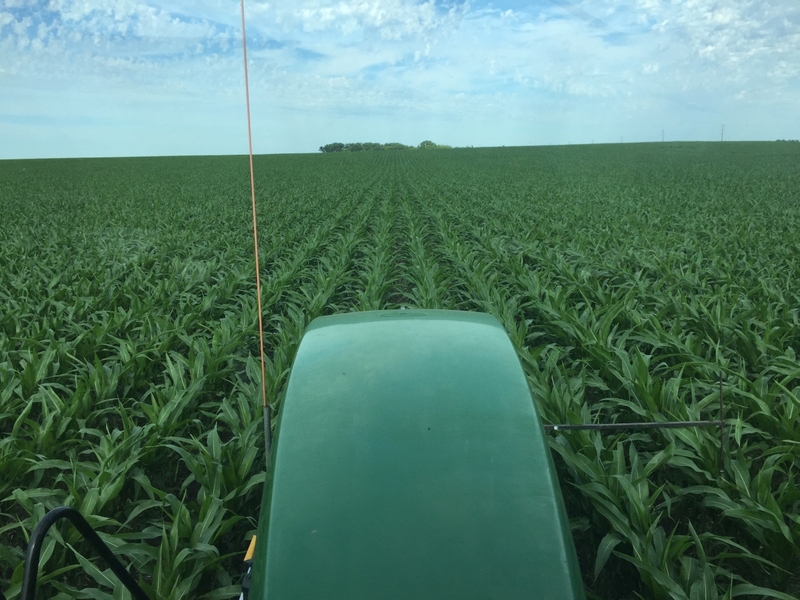 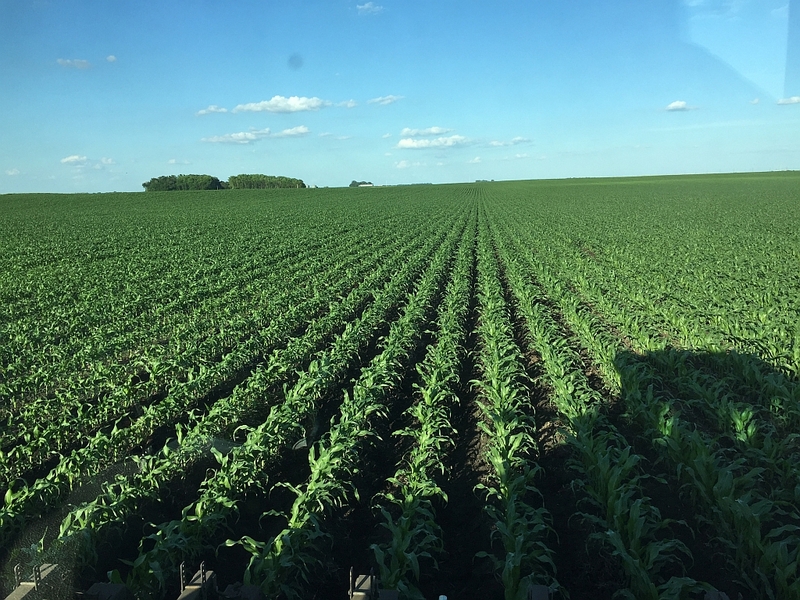 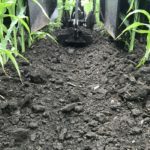 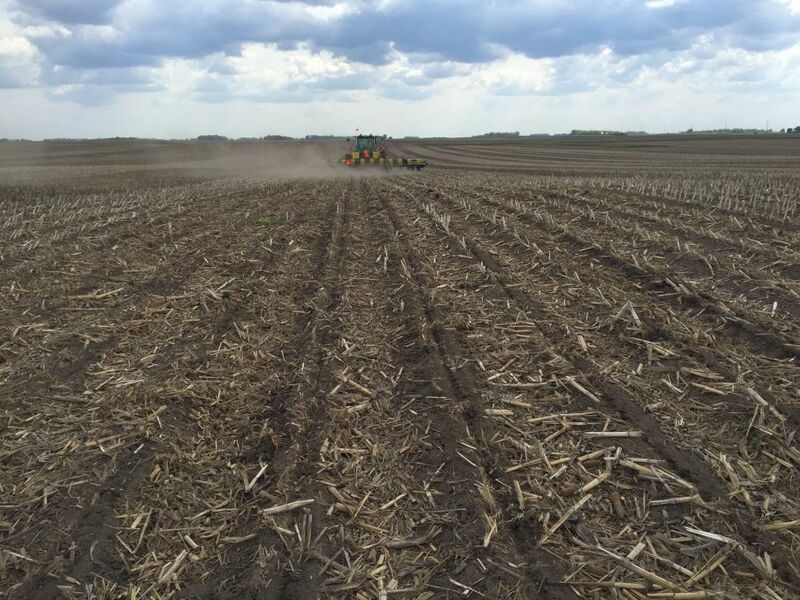 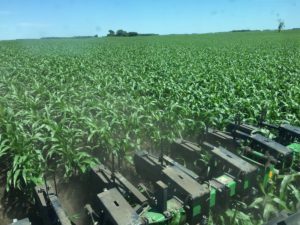 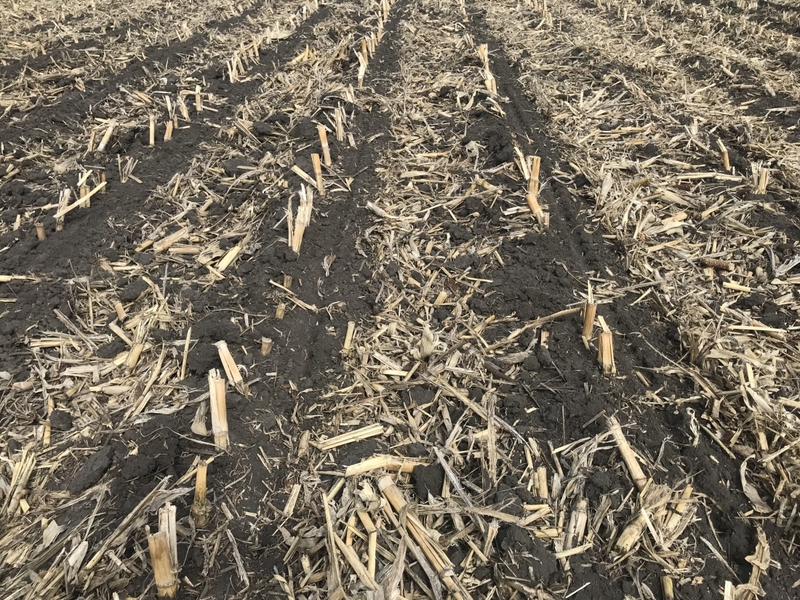 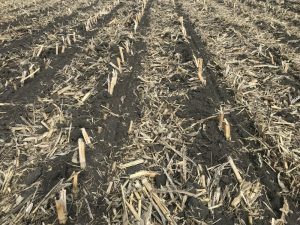 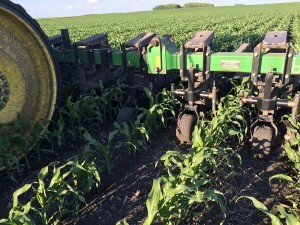 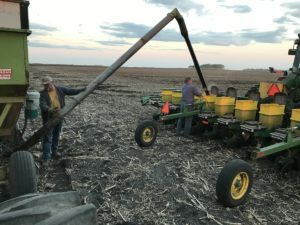 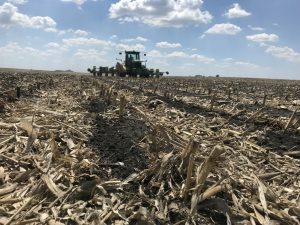 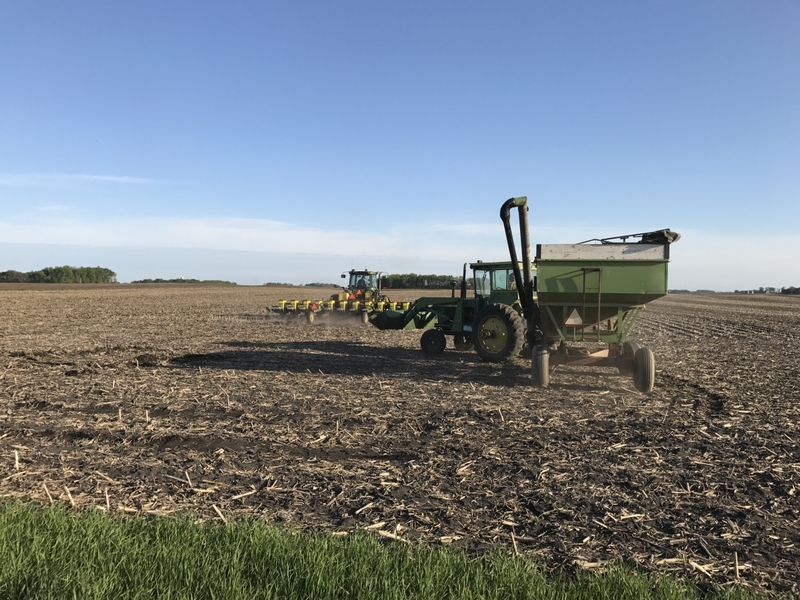 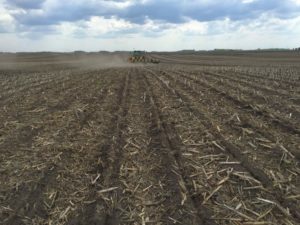 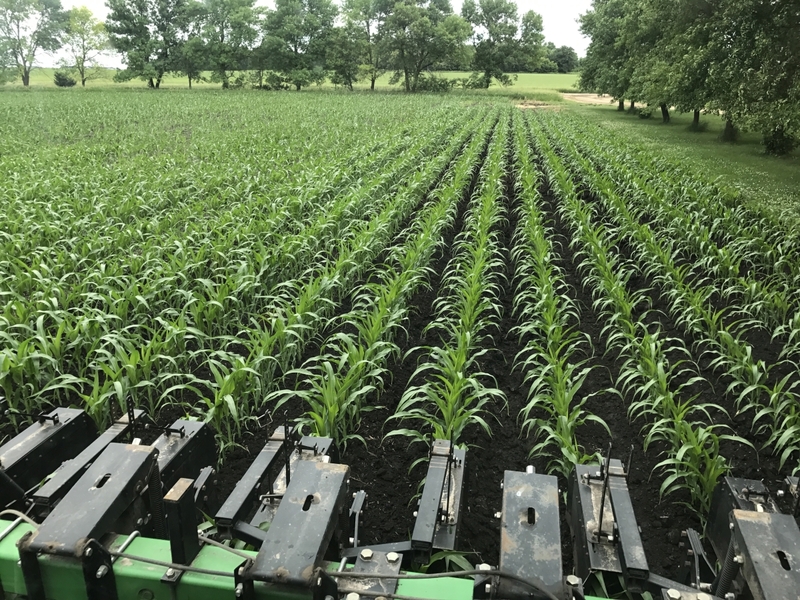 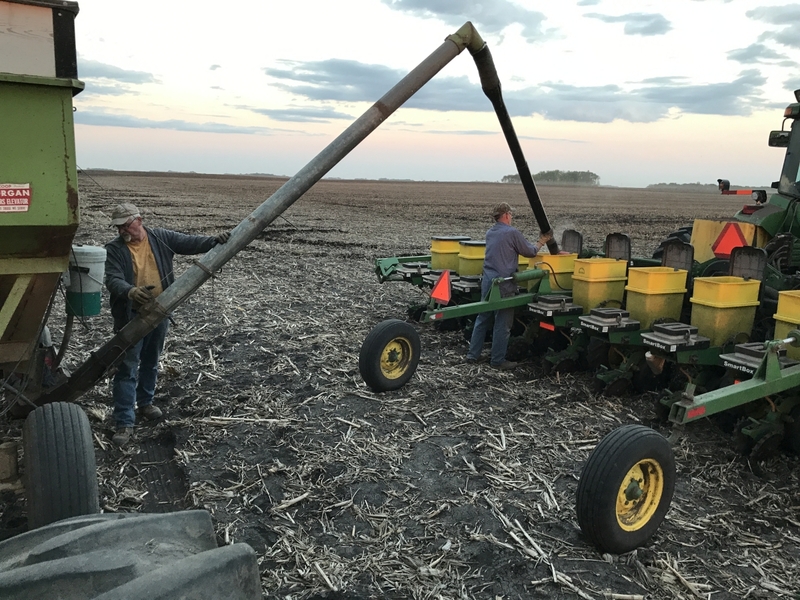 As long as we were at it we tried the shorter corn in the field and were pleased with how well the soil flowed through the cultivator. 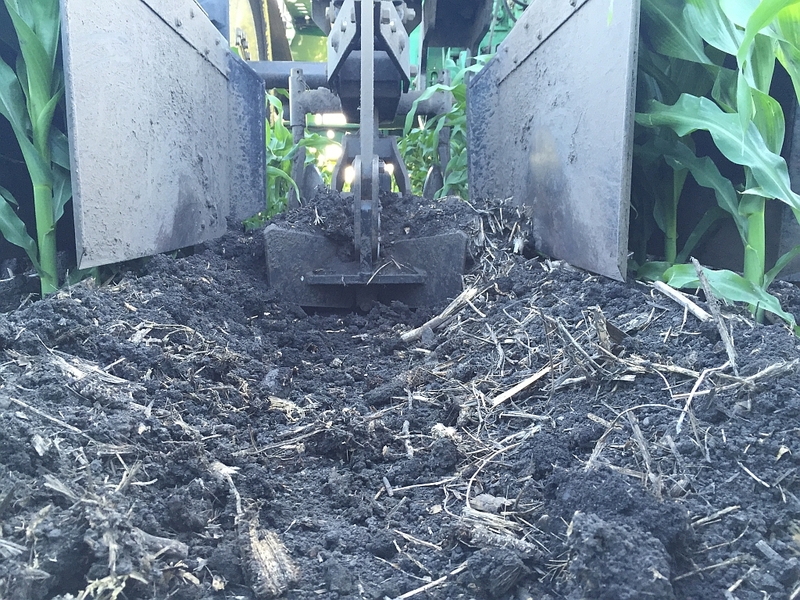 This is the most mellow soil we’ve cultivated in many years. 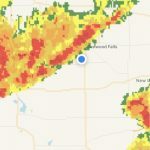 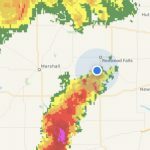 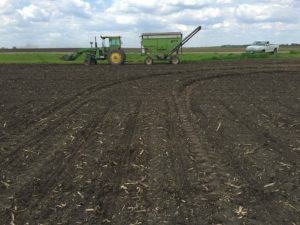 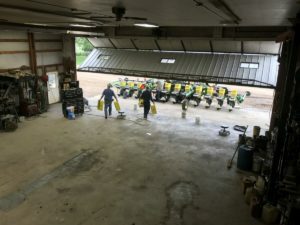 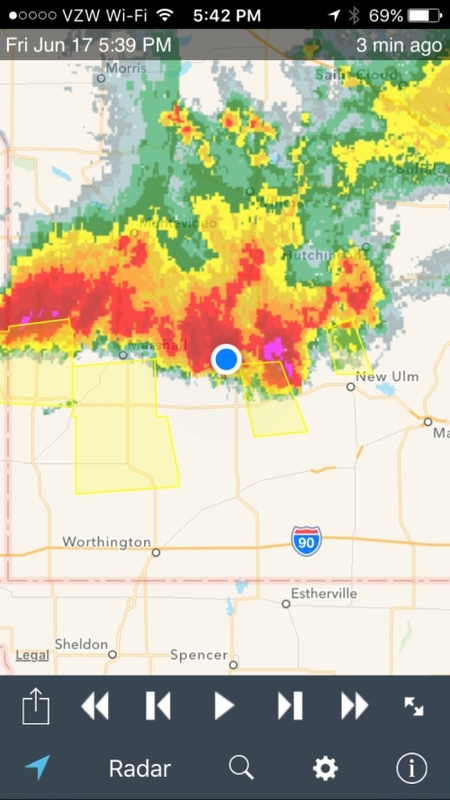 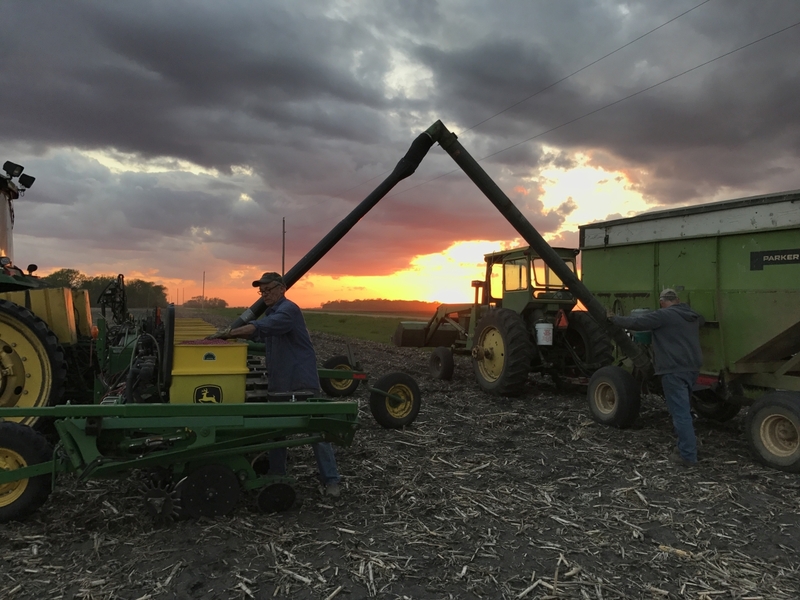 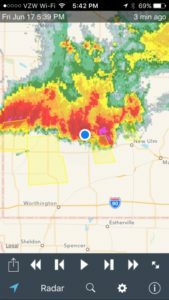 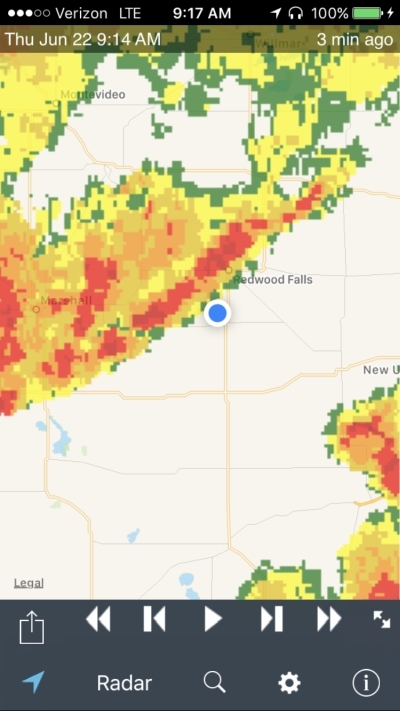 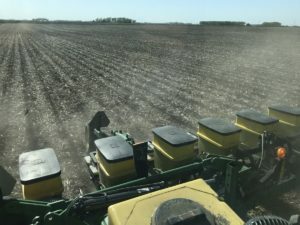 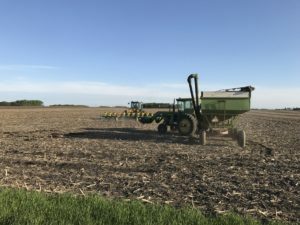 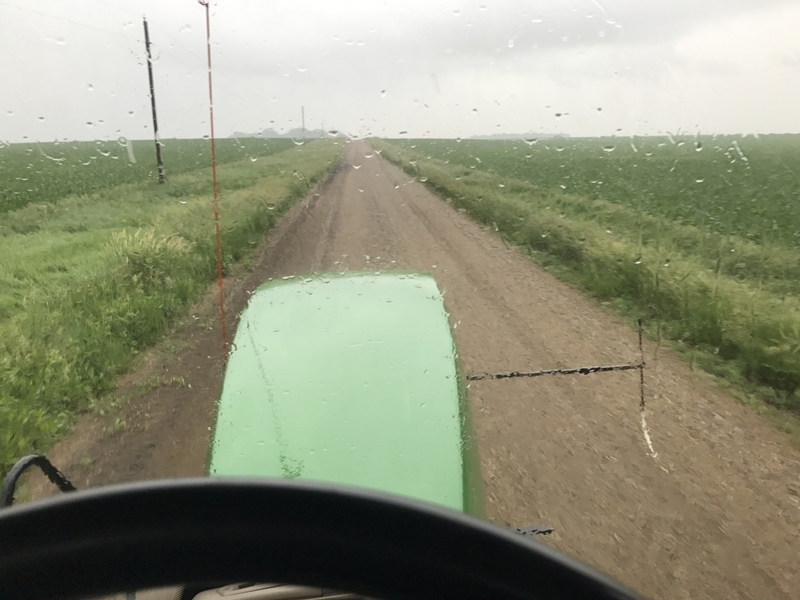 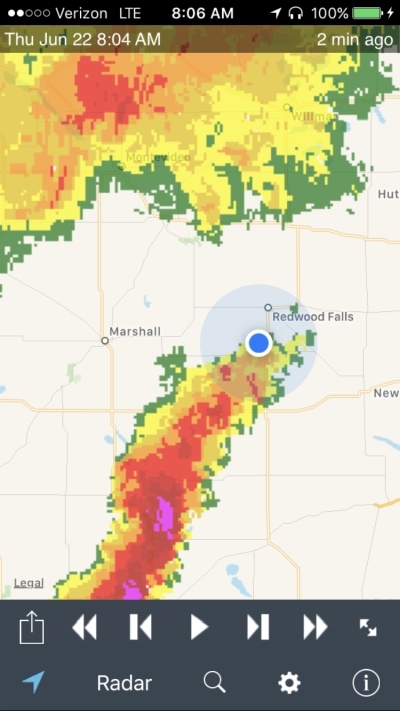 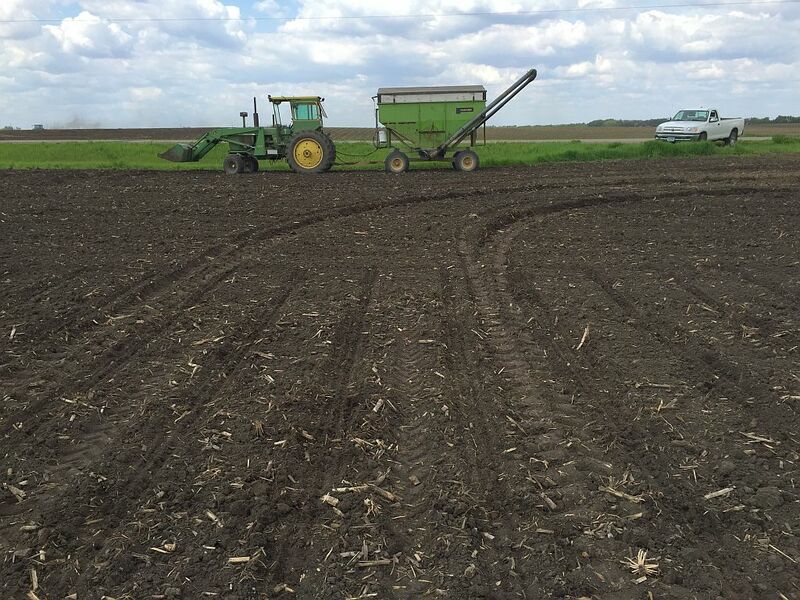 We pushed hard and got through 75% of our corn acres and then got rained out on a Friday evening. 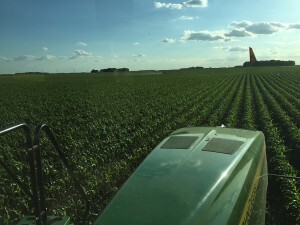 It was Wednesday the next week before we got back in the corn. 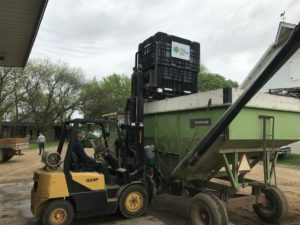 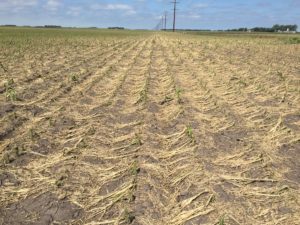 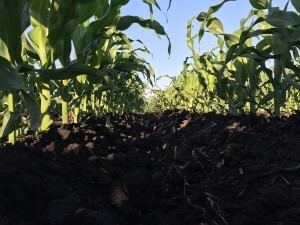 The corn had grown from 12-18″ to nearly 3′ tall in this amount of time. 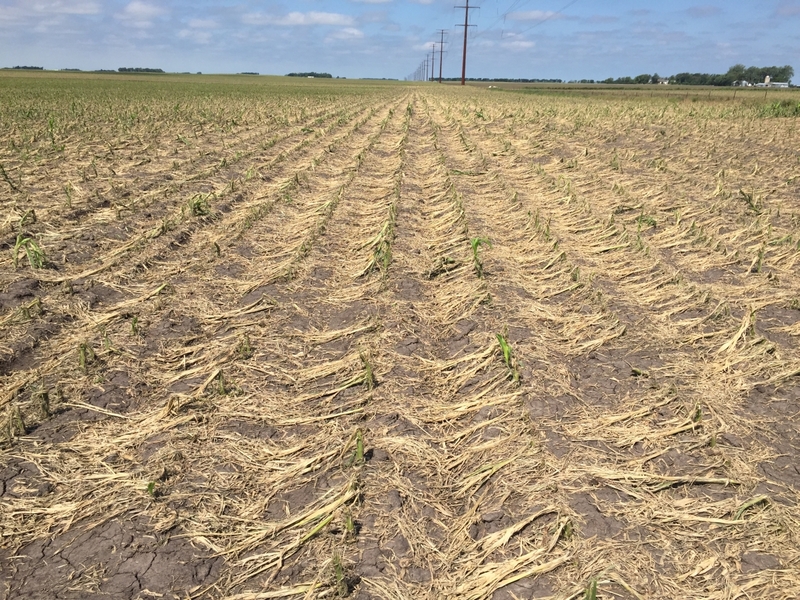 The soil was still on the wet side but the corn was visibly taller each day, so time was not on our side. 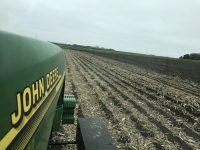 We did get finished with the ridges as the rain held off. 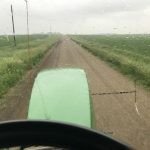 One more rain and some fields or areas of fields would have been too tall.